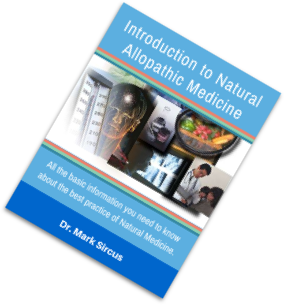 Anyone who cares to learn how to practice Natural Allopathic Medicine principals can do so with ease. 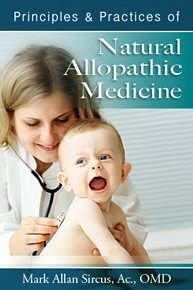 Natural Allopathic Medicine should be taught to mothers who are in the front lines of medical care because they are the ones who make most medical decisions for themselves and their families. It should also be taught to high school students and to all cancer patients who have to take care of themselves before, during and after the harsh treatments that oncologists dish out. With the ten easy lessons under one’s belt one can treat and sometimes. reverse or alleviate many diseases much more easily than regular doctors can. Natural Allopathic Medicine acts through the fulfillment of nutritional law instead of using pharmaceuticals, which in reality are all mitochondrial poisons, drugs that kill over 100,000 Americans every year. 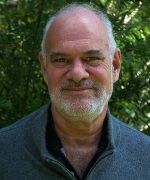 More advanced training in Natural Allopathic Medicine takes investment. 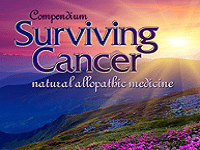 For cancer patients, and those who would help them, read the Surviving Cancer Compendium of 2,500 pages. The compendium has about 300 lessons (chapters). My book Treatment Essentials is the best resource for a concise study of the universality of the protocol. Though I have written books about most of the ten basic lessons, they can be presented and learned without too much reading and study. Just as a nurse can be trained to insert acupuncture needles for simple treatment in a day, the core components of the Natural Allopathic universal protocol can be learned in a weekend. I am not embarrassed to admit how simple it is because it is a gift to humanity that can alleviate a lot of unnecessary suffering. pH medicine: The practice of pH medicine is slightly more complicated because one needs a steering wheel or navigation device to determine exact dosages. This is easily accomplished with simple pH paper, which can be purchased for around ten dollars. All of the body’s physiological processes are sensitive to changes in body pH so we can monitor overall health simply by using pH paper. As we move into unhealthy acidic conditions the body becomes deficient in bicarbonates. This also happens naturally as we age and prematurely as we are exposed to toxins in the environment and in our foods. pH should be kept between 7.3 and 7.4 to ward off viruses. 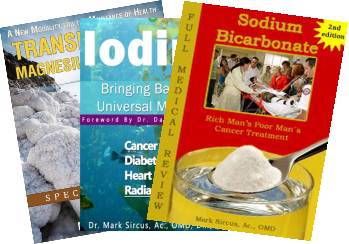 See my e-book, now also in hardcopy on Sodium Bicarbonate. Iodine: The practice of iodine medicine is simple and safe. Iodine is the oldest allopathic medicine proven through 200 years of clinical use and is effective and used in hospitals by the gallon to kill off viruses, bacteria and fungi with ease. It too can be used orally at high dosages as well as transdermally on the skin for skin cancers as well as breast cancer. Iodine is deficient in the vast majority of people who live away from the seas of the world. Iodine is essential for cellular metabolism and thyroid health and is protective against radioactive iodine, which has been in greater presence in the northern hemisphere since the Fukushima disaster. See my book and video on the ´practice of iodine medicine. Selenium: Taking selenium is safer than taking aspirin and can be used at high dosages for extended periods of time to increase the body’s defense against mercury toxicity as well as increasing levels of radiation. Selenium will increase immune system strength and greatly reduce one’s chances of contracting or dying from cancer. The best hospitals use it in injectable form in intensive care wards to ward off sepsis and inflammatory storms. Orally the best form is a selenium chemically bonded to a fatty acid chain. Second to that would be a selenium bound to yeasts that have been killed through heating. See my book and video on the ´practice of selenium medicine. Medical Marijuana: Doctors a hundred years ago knew how to best use medical marijuana as the excellent natural medicine it is. 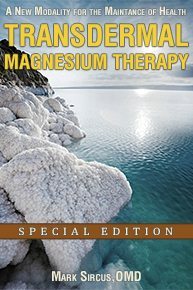 Every practitioner of medicine and every parent should know how and when to utilize its almost miraculous properties to resolve all problems on the skin (with balms and salves) including skin cancer, to using it for all other cancers as a natural form of chemotherapy, for seizures and for everything in between including rest, relaxation and recreation. Now available in non- psychogenic form without THC which is still illegal in many states, cannabidiol (CBD) is almost as effective as the full range of cannabinoids, which include THC. Medical marijuana can be eaten raw as a food, smoked, nebulized, used topically for great effect as well as in concentrated oil form. See my book and video on the practice of cannabinoid medicine. Glutathione: takes the practitioner to a new level because glutathione is so important for health and recovery from serious diseases. Glutathione is the natural defense of every cell in our body working hand in hand and dependent on a plentiful supply of selenium for its existence and function. Glutathione, the most important antioxidant in the body, is that place where sulfur and selenium meet up to protect us from cancer as well as viral infections. It can be used sublingually, nebulized, intravenously as well through easy concentrated form as suppositories. Now you can get Glutathione suppositories in a very high dosage which assists in very serious illnesses or at more moderate dosages (see link on protocol page). Using Radiation Safely: Knowing and understanding how to use radiation safely and effectively elevates the practice of medicine greatly. The first lesson that needs to be learned by doctors and everyone else is to reduce and even halt the use of dangerous forms of radiation that increase a person’s chances of contracting cancer. Too many medical tests are done with nuclear radiation when safer alternatives are possible and available. When it comes to cancer, using nuclear radiation that causes cancer to treat cancer makes absolutely no sense especially when safe far infrared radiation with a Biomat can be used all night long to greatly increase immune system strength. In addition, pulsed electromagnetic fields or PEMF can be used and is already certified by the FDA for use in cancer. My final choice for PEMF is a powerful, small and relatively inexpensive sleep module Earth Pulse system that can be used with the Biomat all night long. The above 10 simple lessons covers 15 basic medicinals that are fundamental to life, health and recovery from disease. My full protocol with the recommended components, videos and links to companies can be found on my website at https://drsircus.com/learning-practicing-intensive-health-care/.